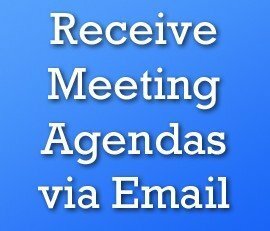 LOS ANGELES (September 26, 2018) – Recognizing that a large segment of the city’s population is unable to benefit from solar power, the Board of Water and Power Commissioners voted September 25 to launch a new community solar program to improve solar equity for renters and to expand geographic diversity of solar projects in Los Angeles. The pilot Shared Solar Program stems from LADWP’s Equity Metrics Data Initiative, which identified the need to expand the benefits of solar to renters as well as improve the geographic solar diversity in Los Angeles, bringing clean energy to more vulnerable communities. The program will bring the economic and environmental benefits of this clean sustainable resource to customers who live in multifamily buildings and cannot participate in traditional solar programs. To broaden the geographic equity of local solar projects, the solar power will come in part from new projects built by LADWP in areas identified as having a lack of installed solar. These include economically disadvantaged communities as well as those designated by the city as “Clean Up Green Up” neighborhoods—Pacoima-Sun Valley in the East San Fernando Valley, Boyle Heights near downtown, and Wilmington in the Harbor area. If green-lighted by the City Council, LADWP expects to launch the program in January 2019. Under the pilot program, participating customers will be able to purchase blocks of solar power—up to 100 kilowatt-hours (kWh) per month—at a 10-year fixed rate, enabling customers to better manage their electricity bill. LADWP has committed to providing up to 10 megawatts (MW) of solar power under the pilot program. LADWP will build new local solar on rooftops of LADWP and City-owned buildings, parking lots, and other structures. Part of the solar power for the program will also come from a large-scale 90 MW solar project due to be completed in 2019 in the Mojave Desert. Expanding community solar has been an important component of Mayor Garcetti’s Sustainable City pLAn. Shared Solar is another example of LADWP’s commitment to delivering on the goals of that plan. “We are absolutely committed to reducing economic barriers to solar power in Los Angeles, and so we are initially giving priority to customers who rent and live in areas that have not benefited from solar through other LADWP solar programs,” LADWP General Manager David H. Wright said. Wright said the Board’s action today is just a first step. “The program’s end goal is to carve out a reduced rate for Shared Solar to make it affordable for income-qualified and disadvantaged customers,” he said. 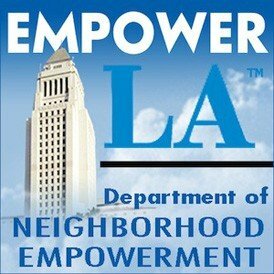 Toward that end, LADWP is working with community partners to obtain external funding, such as grants, to offset the cost of a discounted low-income rate. The Shared Solar program was crafted to be revenue neutral for non-participants, so that the proposed rate covers the cost of procuring, building, operating, and maintaining the solar projects along with program administration. Shared Solar is part of LADWP’s umbrella of Community Solar Programs. LADWP launched the first Community Solar Program in February 2017—the pilot Solar Rooftop Program (SRP)—which also prioritizes customers who reside in areas of low solar penetration. Under this program, customers receive a fixed payment from LADWP to lease their roof space for a solar system that LADWP installs at no cost to the homeowner. Participating customers receive an annual $360 check for the year for 20 years. Currently, 43 homes have been approved for the Solar Rooftop Program, representing about a total of 110 kilowatts of new clean solar energy for customers who couldn’t install solar on their own. LADWP is also developing a pilot Virtual Net Energy Metering Program (VNEM) as part of community solar. A VNEM program enables customers in multifamily housing to receive a credit on their bill for solar that is installed on their building. “LADWP’s efforts toward solar equity are growing and so is the Community Solar Program,” Wright said. Under a Board resolution in June 2018, LADWP committed to accelerating the reduction of greenhouse gas emissions from its power facilities while expanding energy efficiency and community solar programs that primarily benefit renters in multifamily housing. That action led to an increased investment of $10 million in Community Solar Programs to launch Shared Solar and started the development of the new VNEM Program. I’m about to install solar on my single family home, and can’t understand why LADWP will only buy from customers up to 100% of consumption, not as much as they can generate. Why not encourage customers to generate as much solar as they can? Much of my roof space will be empty of panels that could be used to displace fossil fuel generated electricity on the grid.